Learn ways to make money online with your creative business while giving your audience content they love! 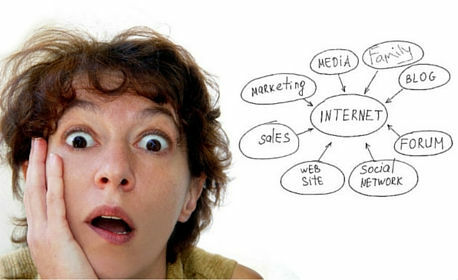 Are you overwhelmed with all of the options of marketing your creative business and not sure where to focus? Does the thought of using social media to market your creative business stress you out? Do you want ways to create consistent income from your creative business? I know you love what you do, how can you not? You make beautiful things with your hands! You’re using your God-Given talent and making people happy with your creations! You’ve taken a lot of time to master your trade. If you’re like me, you can create your products in your sleep! You eat, breathe and engross yourself with all things relating to your creative business. But let’s say now you want to sell your crafts or your creative services online but you’re not quite sure how to attempt it. I mean you have a general idea but your frustrated because there are so many options and so much to learn! I totally get it. I used to be just like you! I too used to be overwhelmed and frustrated because everywhere I turned another “good willing” seller was telling me a new thing I needed to learn, a new gadget I needed to buy, a new social media I should sign up for, a new whatever… in order to increase my sales. And then, with each new search for help, revealed yet another something I needed to learn! Seriously? By purchasing, you understand that this is a monthly membership. Your membership will run for 30 consecutive days. You agree that your membership will automatically renew unless a cancellation is made by either logging into your account at www.southerncharmwreaths.com/my-account or by contacting us here . If your cancellation is made within 3 business days of your automated billing, a refund will be issued. No refunds will be made after 3 business days of the charge date. If you are looking for ways to optimize your online business, your search stops here with Julie’s Success Circle! Through her personal experiences, hours upon hours of research, and her tireless energy, you will receive invaluable instructional “Julie” videos and other great info that will help you increase your business presence online, which is a necessity in this day and time. Julie’s approach is faith-based, engaging and created in such a well “thought-out” way so that all will experience success! It is worth every single penny you pay . . . plus more! Julie is fabulous. her designs are great, easy to follow instructions, well thought out. Looking to return soon! I just signed up for this course about a month ago and already I have learned so much. Julie is amazing and takes so much time out of her busy schedule to help us. She is an amazing motivator and mentor. I absolutely love her. She answers all of my questions and even when I feel like giving up, she gives me the motivation to continue on. I cannot express how truly blessed I am to have found this group and Julie. I am so glad that I joined this group and look forward to learning and growing my business with Julie. I have been taking Julie’s training since the beginning and can’t say enough about how much she and her courses have helped me start to grow my business, getting it to the next level. She’s one of the most generous, fun, caring persons I’ve come across. Her training is superior and she takes the time to go the extra mile if you need more explanation of a topic. Her videos are easy to follow, she’s entertaining to watch, and is willing to go above and beyond to find something out for you if she doesn’t know off the top of her head. The live video calls at the end of each month are fantastic! There is so much to be learned and I’m glad she’s my business coach! If you are on the fence about her courses, It’s definitely worth it! I can say that I’ve learned so much more than what I previously knew, and I thought I knew a lot. Each month is a new topic and I get excited to watch her video’s to see what more there is to learn and implement into my business. I am always looking forward to learning more with Julie! Thanks for sharing your knowledge and guiding us to help grow our own businesses in a very affordable way! Julie’s Success Circle is the best I’ve seen for instructions on growing a business and encouragement. Julie really cares that you succeed. I look forward to each weekly session she provides us, and she is always accessible for any questions we have. Thank you, Julie, for all you do to help us succeed! 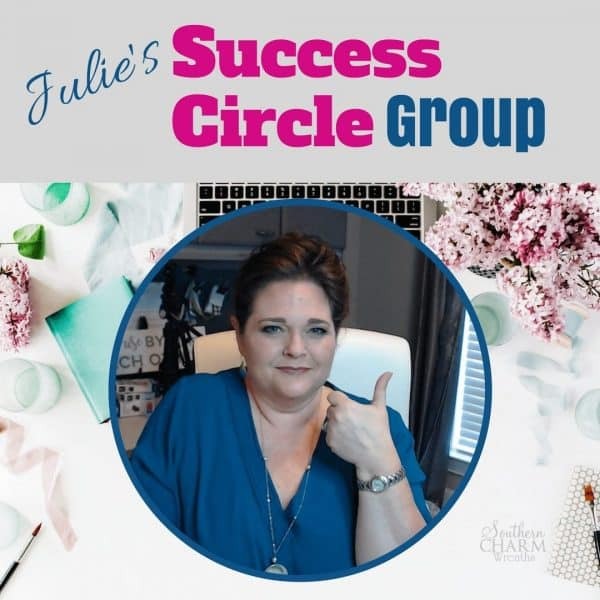 Julie’s Success Circle has helped me so much. Now that I work out of my home I don’t feel so isolated and alone in this endeavor. Her weekly sessions have helped me create a newsletter list and create one that I sent out announcing my business was now open, streamlining my holiday craft shows and holiday sales. She is there to answer our questions when we need them answered. Wonderful ideas and tips to help us grow and stretch our comfort zone. I truly appreciate all her time and energy she puts in to this in helping all of us succeed. 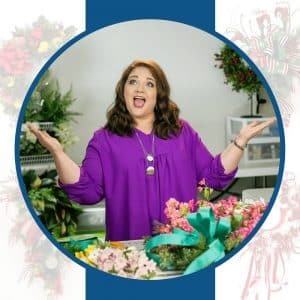 Julie’s Success Circle is not just for new sellers, but for anyone in ecommerce – from Day 1 to Year 15 who is ready to move forward, whether needing “what do I do first? guidance or looking for new ideas and motivation. Many times I have wondered where she finds the time to do all that she does for the group – she is tireless. She has given me so many ideas for new things to not only market my business, but in almost every other facet as well. Somewhere along the way, she even managed to add to my confidence to implement the marketing strategies that were harder for me, and I saw the same thing happen to others. I was excited for the people in the group when I watched them conquer their fears and saw the success in their business! “Thank you” does not seem sufficient enough for what she has done for me. The topics are always centered to move your business forward, but somehow many things that are said and learned end up being great life lessons as well. 5+ Stars – Highly Recommend. This site, videos and files are protected by international copyright laws. As a Wreath Making of the Month Club Member you have a streaming access license to use this site for your own personal usage, only. You MAY NOT share it, transcribe it, copy it, save it, store it or use it in any way without express written permission from us. It is a federal crime to share this content and to repurpose it in any way. Honor others and honor will follow you. 🙂 (c) All Rights Reserved, 2018. 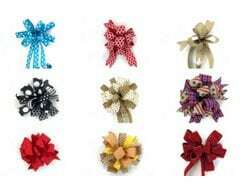 Southern Charm Wreaths, LLC. COPYRIGHT © SOUTHERN CHARM WREATHS 2009-2019. ALL RIGHT RESERVED.